It is not uncommon for pest control professionals in Arizona to receive calls from concerned residents about small black bugs with orange spots infesting various areas of a home. These creatures are commonly known as carpet beetles, and they are notorious for being one of the most difficult insect pests to control within homes and buildings. Unfortunately, there exists three carpet beetle species in Arizona. These species are commonly known as the varied carpet beetle, the black carpet beetle and the furniture carpet beetle. Most of the carpet beetle specimens that are brought into the University of Arizona Cooperative Extension offices by residents hoping to have the insects identified originated either from inhabited homes or from storage areas where keratin-rich materials, like feathers and certain textiles, are abundant. When carpet beetles invade homes they plant their eggs on any sort of material containing keratin. Keratin is a fibrous structural protein found in hair, skin, animal furs, clothing textiles, dried plant matter, rugs, carpeting and a variety of other materials. These materials are targeted by adult carpet beetles looking to plant their eggs within a keratin-rich environment that will supply their developing larvae with an abundance of food after they emerge from their eggs. Carpet beetles inflict damage to clothing that is similar in appearance to the damage that some moth species inflict on clothing. But carpet beetle damage is usually clustered in one area of clothing or carpet, while moth damage is more sporadic. Unlike moth pests, carpet beetles shed their exoskeletons when they molt. These brown-colored and shell-like exoskeleton castings are usually visible within an area where the larvae had caused damage. The presence of these castings allow residents and pest control experts to discern carpet beetle damage from other forms of insect damage. Carpet beetles are difficult to control, as these insects can find food in a variety of different locations, and they disperse rapidly throughout a structure. The most effective way to prevent carpet beetle infestations is to reduce the amount of lint, hair, dead plant matter, dead insect matter and any other forms of matter within a home that carpet beetles feed upon. It is particularly important to eliminate all spider and cobwebs from within a home, as these webs provide carpet beetles with a substantial amount of sustenance. Regular dusting and vacuuming can greatly reduce a homeowner’s chances of falling victim to a carpet beetle infestation. Have you ever found a large amount of insects within your home that you could not identify? As the days get shorter and falling temperatures force people to become homebodies, many pests will have the same idea. 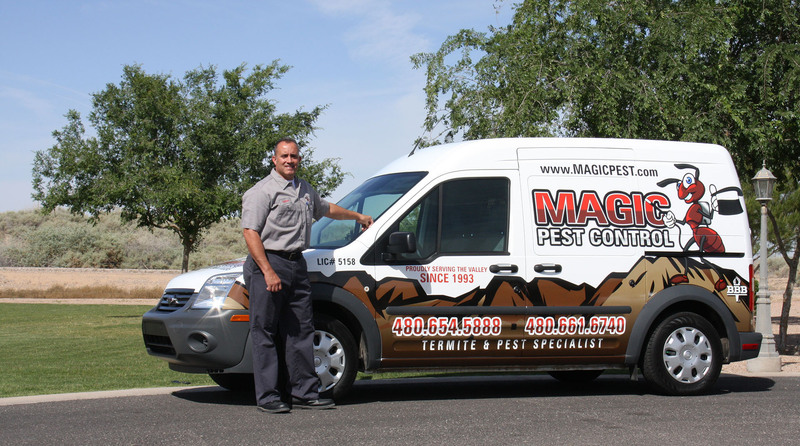 Magic pest Control reminds homeowners that rodents, squirrels, cockroaches and spiders may try to find their way inside to escape the coming chill, bringing with them a number of health risks. Besides being a nuisance and irksome, these pests can also pose serious risks — rodents spread diseases such as Salmonella, contaminate food and can damage drywall and electrical wires throughout a home. Cockroaches trigger allergies and asthma, especially in children, and some species of spiders may bite if their hiding spot is discovered. There is plenty of cannibalism in the spider world, with one species of spiders that only prey on other spiders. However, this particular species has pretty bad eyesight, so there is a danger that they could eat one of their own species if not careful. They aren’t aiming to eat their own species, as this would cause obvious problems for the continued survival of the species. Eating member of your own species has quite a few drawbacks such as eating a possible mate or other spiders eating possible mates, causing missed mating opportunities, a higher risk of disease, as well as the obvious one of accidentally eating one of your own relatives. The spider species Palpimanus has a much higher risk of accidentally eating one of their own since they are specialized hunters, only preying on other spiders. So how do they avoid cannibalizing members of their own species? A recent study revealed that Palpimanus spiders likely use sound to recognize one another and avoid eating other members of the same species. Since Palpimanus spiders have very poor eyesight they rely on touch and vibration instead to interpret what is going on around them. They can also make noise that sounds similar to buzzing chirps when they rub their facial appendages against the ridged surface of their jaws. In a recent study researchers placed two Palpimanus spiders in the same enclosure to see if they could recognize each other or one of them would end up eating the other one. When they put two of these spiders together the spiders usually would touch each other with their front legs and make a chirping sound. Both spiders walked away unharmed in this situation. However, a few smaller spiders that did not chirp did end up as dinner for the bigger spider. The researchers then tried amputating some of the spiders’ facial appendages, rendering them unable to chirp. When they placed them in the same container as another spider of the same species that was bigger, the bigger spiders turned out to be four and a half times more likely to eat the smaller spider when they couldn’t chirp than when they could. This demonstrated that the spiders do, in fact, use sound to recognize each other and avoid eating their own species. Have you ever heard a spider make noise such as chirping? What did you think it was doing? Fireflies may be the most beloved of all insects. As children, the sight of fireflies glowing on and off in the distance was nothing short of fascinating. For many adults, fireflies not only conjure up pleasant memories from childhood, but their glowing bodies indicate that summer has officially arrived. Fireflies are immediately recognizable, and many children never tire of attempting to capture the bugs in mason jars, but how much do people really know about fireflies? As it turns out, fireflies are more than just an interesting group of insects, as firefly activity can indicate the relative health of a particular ecosystem. Unfortunately, this means that, much like other insect species today, firefly populations are decreasing due to environmental hazards. In response to this loss in firefly life, experts formed the Firefly Watch project at the Museum of Science in Boston. This project aims to preserve and track firefly populations in America. The Firefly Watch project recruits thousands of citizen scientists from all fifty states and several Canadian provinces in order to track trends in firefly populations around North America. Starting just a couple of months ago, the Firefly Watch program was taken over by Mass Audubon. This organization is working closely with Tufts University in order to continue the research started by the Firefly Watch program. Mass Audubon is still looking for more citizen scientists; anybody can sign up for the project by visiting the Museum of Science in Boston website. Researchers also want to preserve fireflies due to their value in the field of medicine. 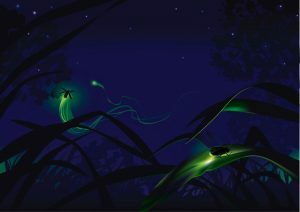 Fireflies are helping researchers to understand how diseases such as cancer and muscular dystrophy attack human cells. Fireflies have also been used to detect food spoilage and bacterial contamination. Perhaps most surprising is the fact that fireflies are even used by NASA officials when developing instruments that are designed to detect life beyond our own planet. Have you ever attempted to catch fireflies as an adult? Did the fireflies that you captured as a child live longer than a single day in captivity?